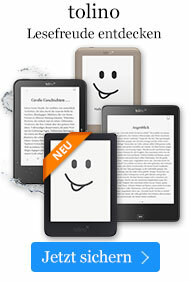 Buch € 168,99* inkl. MwSt. Fundamentals, Design Strategies, and Applications. 100 schw. -w. Abbildungen, 15 schw. -w. Tabellen. Mit der Natur als Vorbild entwickelt sich eine neue Technik der Herstellung von selbstheilenden Materialien, inbesondere von künstlich gefertigten Oberflächen. Die grundlegende Theorie hierzu wird zum Einstieg in das Gebiet um praxisnahe Beispiele ergänzt. Swapan Kumar Ghosh received his Ph.D in 2000 from the Indian Institute of Technology, India. His thesis was based on the synthesis and structure-property relationship of elastomeric ionomers. Following a PostDoc position at the Technical University of Eindhoven, The Netherlands, he joined as a Research Engineer at ArcelorMittal R& D Industry Gent, Belgium in 2002. He managed and coordinated both industrial and governmental funded projects in the field of coatings as well as knowledge development on new coatings related ideas for metallic substrates especially for steel. Since September 2008 he has been appointed as the chief executive of Procoat India Private Limited (a subsidary of ProCoat Technologías, Barcelona/Spain). In addition, he has edited the book `Functional Coatings by Polymer Microencapsulation`, and has published several research papers in international journals and is inventor /co-inventor of several patents in the fields of coatings technology.